Gehl's HydraGlide system allows the lift arm to “float” when transporting loads, minimizing loss of material while providing a smoother ride. Additional self-leveling lift action keeps the attachment level as the lift arm is raised and lowered. 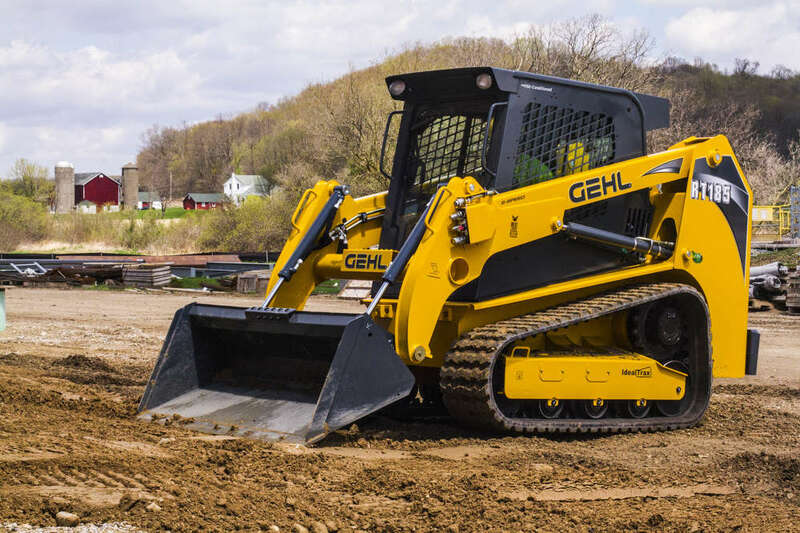 The Gehl RT185 Pilot Series track loader can easily use a variety of attachments with a skid-attach plate and Gehl's All-Tach attachment mounting system. An optional Power-A-Tach system allows the operator to engage and disengage an attachment without leaving the operator station. High-flow auxiliary hydraulics also are an available option, providing hydraulic flows up to 37.4 gallons (141.5 L) per minute. Additional optional features for the Gehl RT185 include a fully integrated rear view back up camera and IdealAccess fold-up door that lets the operator work with the door open or closed even when using a large attachment.